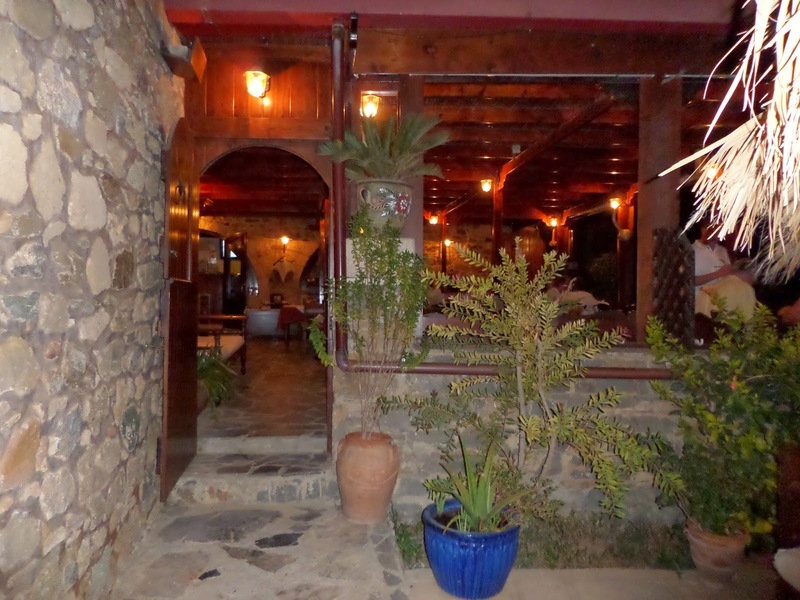 When you are visiting East Crete, Metohi Village Taverna is a great place to stop for food. 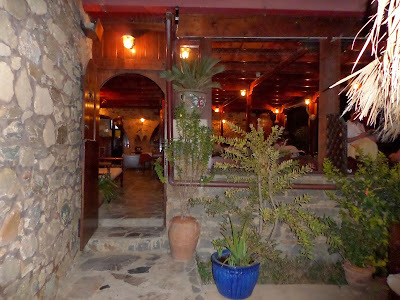 This taverna is a well-kept secret, hidden away off the road between Palaikastro and Vai, seemingly in the middle of nowhere. We went there for dinner this summer, with our two dogs - Garby and Sage. They owners were very welcoming. 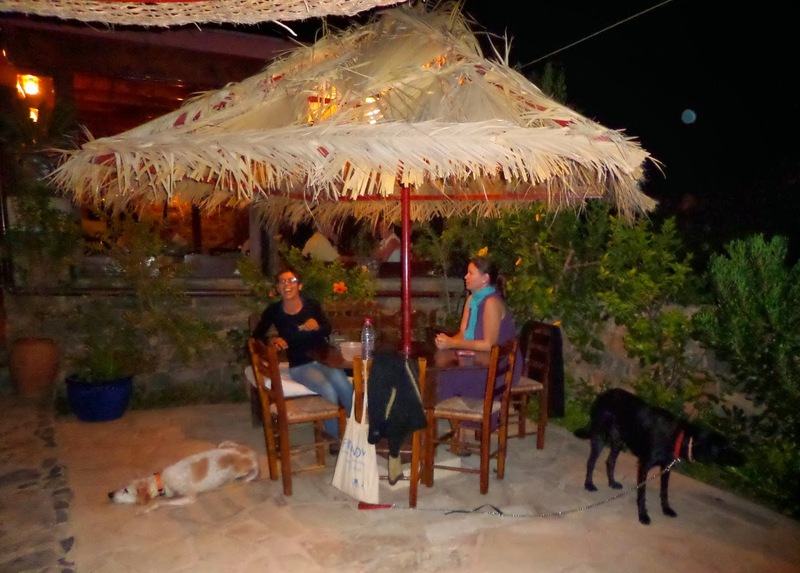 We sat outside, on the lower terrace of the taverna, with plenty of space so as not to disturb other customers. 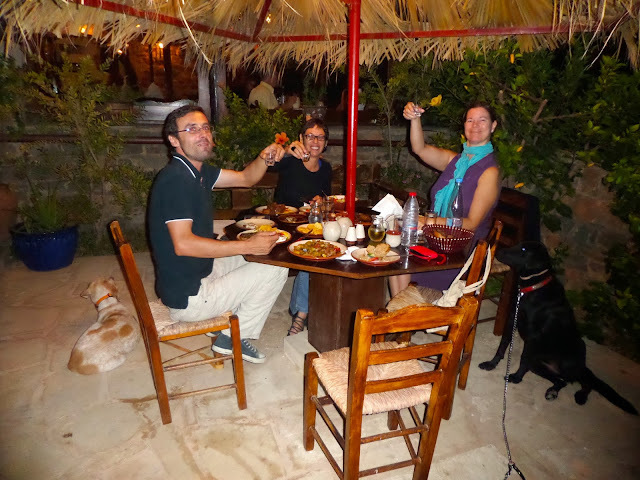 Metohi serves a variety of dishes, and specialises in good quality, locally sourced meat. I'm not a liver fan, but my friends assure me this is one of the best places to eat liver in Crete. We ordered up a feast - slow-cooked lamb, liver, an enormous salad from vegetables grown locally, various mezedes, much more than the four of us could eat. The prices are also very reasonable; we paid about 15€ per person. This place is usually fairly busy at lunchtimes during the summer, but you can always find a quiet corner to sit comfortably with your dog. It makes a nice change from eating out at the busier tavernas in the square at Palaikastro, or at the beach at Kouremenos, and provides a good escape from the crowds. The surrounding countryside is extremely wild and arid, which makes the Metohi seem like a welcome oasis. It's a great place to stop on the way back from a visit to the beautiful palm beach at Vai (or the smaller, more dog-friendly beaches beyond the sand dunes at Vai).